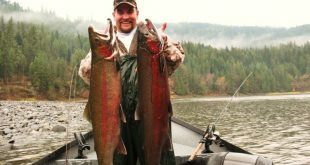 CLEARWATER STEELHEAD FISHING SEASON IS HERE! 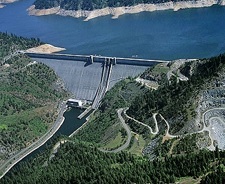 The Dworshak Reservoir and Dam were completed in 1973 as part of a $327 million project for flood control, hydropower generation, outdoor recreation, and fish and wildlife preservation. The reservoir occupies 19,000 acres with 184 miles of shore line and is considered Orofino, Idaho`s water playground. 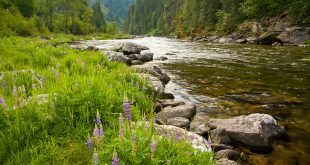 Boasting boating, hiking, camping, fishing, hunting and many other activities all year around, it is located in central Idaho along the north fork of the Clearwater River amidst scenic forested and mountainous country. It is home to the Dworshak National Fish Hatchery, the largest steel head trout hatchery in the world. You will also find the highest straight-axis gravity dam in North America the Dworshak Dam standing 717 feet tall. This beautiful place is definitely one to put on your vacation list as it has something to offer everyone!